This was the first picture I took upon my arrival in New Zealand. We landed at Auckland International Airport on the 25th April, 2014, and the sight of this fine upstanding Dwarf was one of the very first sights to greet me. Even seeing it now I’m filled with the same excitement and ‘right-ness’ I felt upon my arrival. This Dwarf, “on loan from Middle Earth”, is a physical representation of everything I hoped my New Zealand adventure would be, why I’d packed up my life back home in the UK and flown to the other side of the world, to Middle Earth. I went to explore ‘Lord of the Rings’ country, a country I’d dreamt of visiting since The Fellowship of the Ring came out way back in 2001. Alas, I was soon to discover that this Dwarf was the only thing even remotely related to Lord of the Rings in the Auckland and Northlands area! 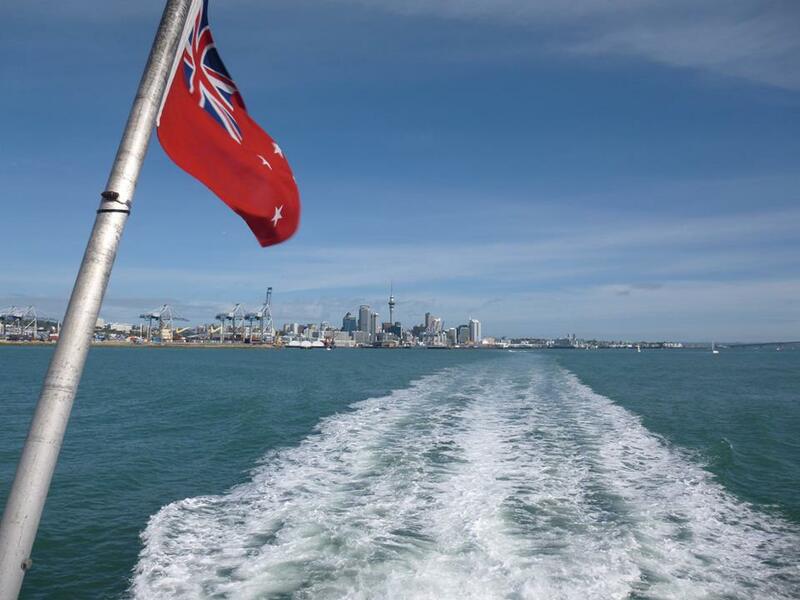 The first few weeks of our trip were spent in Auckland itself, getting sorted with bank accounts and the likes, exploring the city and taking a few ferry trips to the nearby islands of Rangitoto and Waiheke. I loved it then, settling into a new city, a new way of life. But after those first few weeks the novelty soon began to wear off as we began to spend more and more time just hanging out in the hostel by day and drinking in the bar by night. Not my kind of life at all and I soon picked up the reputation of “Vodka girl”, but only in the sense that I could make one small glass of Vodka/Lemonade last at least a couple hours! Auckland itself is a city of shine and grime. And it quickly became evident to me why you either loved it or hated it. Like Marmite, there was no inbetween. Where I would have been more than happy only spending the first few weeks there, in reality we ended up spending around two months in or around Auckland, hemorrhaging money on accommodation, McDonalds dinners and alcohol. And although I did make some good friends during my stay in Auckland, I could feel myself spiraling down into feelings of depression and resentment. I was starting to think that I’d made a huge mistake. That leaving the UK was the worst decision I could have possibly made. I was bored and uninspired and terrified that the rest of New Zealand would be more of the same. And it didn’t help that the friend I was travelling with at the time seemed to settle into this way of life with relish. It was the times I managed to get out of the city however that reaffirmed my belief that coming to New Zealand was the right thing to do. We arranged to do a three day trip up to Paihia to visit the Bay of Islands and Cape Reinga, and whilst we were up there I managed to get us involved in some Work-for-Accommodation for three weeks in nearby Opua, which was an amazing experience and let us actually enjoy some of what this beautiful country has to offer. The two month monotony was also broken when my sister came over to visit us for a week and though most of it was spent in Auckland (which my sister was just as unimpressed by), we did manage a roadtrip down to Waitomo to check out both the Glowworms and Hobbiton! (more on this coming soon!). Once my sister left however, and the thought of settling back into the monotonous lifestyle of Auckland began to tickle at the back of my mind, I was finally spurned into action- after Hobbiton and seeing the Glowworms, how could I settle for anything that wasn’t as beautiful and awe inspiring as I believed my New Zealand adventure should be? !- and thus I managed to convince my friend to join me on a bus trip across the rest of the North Island with our final destination being Wellington. Everyone has to start their journey somewhere. And Auckland is a fine place to begin, but only if you intend to spend a few days/weeks at a time there. Once you’ve explored the city, once you’ve traversed all the tourist traps, there really isn’t a whole lot to do. Especially not for a girl like me. I’m just not an Auckland girl. Unfortunately my friend at the time was and a few days after arriving in Wellington we soon parted ways, with me staying and her returning to the city of shine and grime. 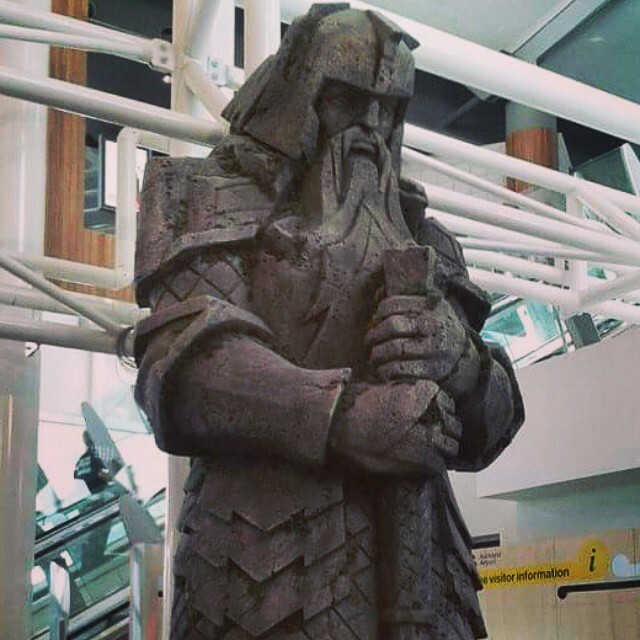 As for finding Middle Earth, and the Dwarf at Auckland airport, the story goes that Peter Jackson, director of The Lord of the Rings, made a point to never use any locations from Auckland and the far North in the movies. This is because there is a “friendly” rivalry between New Zealand’s capital city Wellington, and it’s largest city Auckland. And as a Wellingtonian, Peter didn’t want Auckland to have any claim to his trilogy whatsoever! After living in Wellington for about a year and a half now, I can see why. Wellington is inspirational. Wellington is ‘the coolest little capital’. Wellington is where I regained my enthusiasm and passion and inspiration after two months spent spiraling down into a pit of despair whilst living in Auckland. Wellington is the heart of ‘The Lord of the Rings’. And I’m proud to say I’m a Wellington girl! The start of my New Zealand adventure wasn’t as perfect as it perhaps came across at the time. I only ever talked about the shine and not the grime of my time in Auckland, but I wanted to let everyone know that the start of my journey was a struggle. I know many of you reading this are thinking about starting your own adventures and I want you to know that you will panic and freak out, you will worry that you’ve made the worst mistake of your life, you will lose friends (even ones you thought were good friends). Don’t panic! If you are planning to visit New Zealand, don’t let me put you off visiting Auckland! It’s fine in small doses, honest! Coming up… my TOP 5 posts of THINGS TO DO IN AUCKLAND and OUTSIDE OF AUCKLAND too! It wasn’t all doom and gloom, promise! Brilliant. A great prose! And your quotes are perfect. Well done! Thanks, Karene. Look out for the new year where I’ll be posting about the places I do actually enjoy around New Zealand!